It’s Friday! Say hello to that amazing feeling of freedom mixed with exhaustion and combined with the overwhelming desire to curl up in front of the TV. But, instead of doing that (or maybe just before) what about getting in a mood-boosting Friday Fitness workout. We all know that Friday feeling; coming home from work tired with just about enough energy to eat dinner and lounge. But it doesn’t have to be that way. 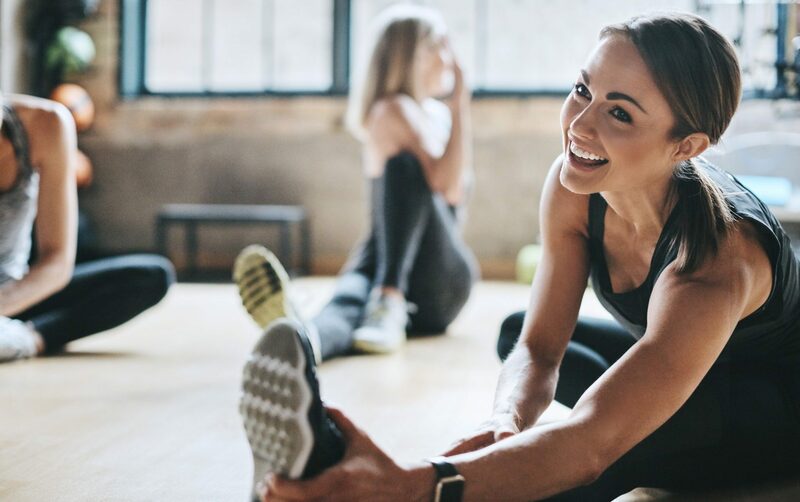 A little light Friday exercise will help your body regain some of its drive by boosting your endorphin levels, so you feel great going into the weekend and can make the most of it. It’s well known that work stress disrupts our sleep patterns. When we’re feeling stressed we’re less likely to have meaningful sleep and more likely to toss and turn. Exercise helps regulate sleep patterns, allowing you to get a more restful night’s sleep by ridding yourself of the week’s worries. 3. You don’t have to get up in the morning! Worried that a late-night session will leave you with too little time to relax; don’t be. Remember, tomorrow is Saturday. Time to tie up those running shoes and get to your workout. After all you can rest tomorrow. When it’s Friday night, and the gym seems too far, never fear, this is a workout you can do any time, any place. Or if you’re feeling extra energetic before you head to work, it also makes for a perfect Friday morning workout too. After being cooped up in the office all week, it’s time to release those limbs and get them moving. Start by some simple stretches to limber up your muscles. Stretch your arms by reaching both arms toward the sky, then bending them at the elbows. Put one hand on the other elbow and push down, engaging the stretch, then switch. Now for those legs. Time for some hip rotations and gentle stretching lunges to prepare your leg muscles. Open up that back and chest. Start with some chest expansions, open up your arms and push backwards until you feel a pull in your chest. Mix it up and then lean forward to touch the ground to stretch your back. Now that your muscles are prepped, time to engage your heart and lungs with a little light cardio. Jumping jacks. Legs out, arms up with a clap in the middle. Aim for 3 sets of 10 jumping jacks to get your heart pumping. High knees. Don’t settle for a gentle on-the-spot jog, lift those knees up to your chest as you go. Aim for 2-3 minutes run time. Ski jumps. Time to jump into the weekend with a few ski jumps. Aim for 3 sets of 5 jumps each. Time to tone that behind. How that your muscles are supple you’re ready to squat. For your Friday workout, we’ll try out three styles. Narrow squat. Place your feet almost together and sit down as if a chair was beneath you. While doing so raise your arms to the sky. Classic squat. With feet shoulder-width apart, squat downward gently before rising slowly. Wide squat. Ensure your legs are more than shoulder-width apart before lowering yourself into the wide squat position. Engage your core stretch and tone those abs with these simple, yet effective core exercises. Sit-ups. Time for some classic sit-ups. Lie on the mat with your knees upward, then, putting your hands behind your head, do 3 sets of 25 sit-ups to tone your tummy. Well done! You’ve completed your Friday workout. Good for you. Now, it’s time to bring your body back to rest. Go from 60 mph to zero with these simple activities. Stretch again. Return to the start of your workout and repeat the stretching exercises, this will help prep your muscles for cool down. Yoga pose. Choose a yoga pose, or series of poses, that you are comfortable with. Perhaps Lotus Pose, Downward Facing Dog, or Cat/Cow pose, to help bring your body back to center. Time to work on your mind, this will help relax you. While in your yoga pose, take a deep breath in, hold and release. Repeat 10-15 times. You can also add in a helpful mantra to get the most from your Friday meditation time.